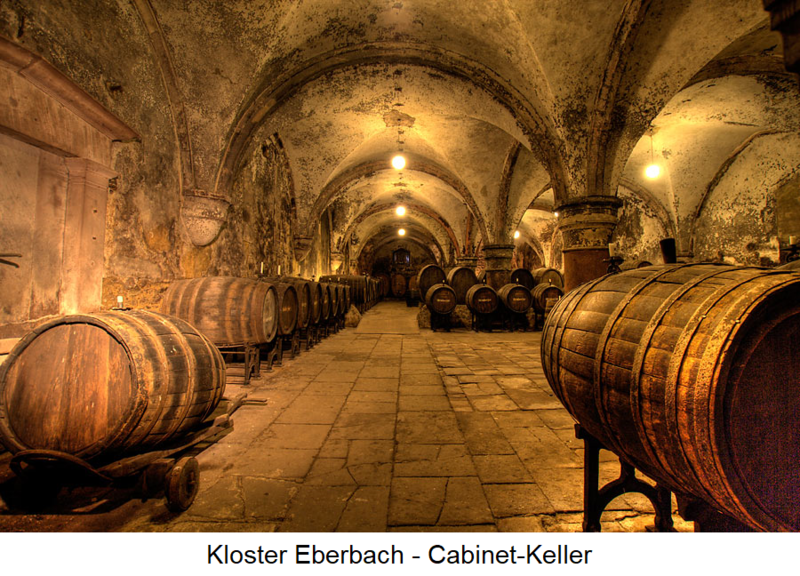 Earlier used in Germany and Austria name to classify a particularly outstanding wine, a so-called Kreszenz, The origin of the term is a wine cellar built in 1245 Cistercian in the monastery Eberbach (Municipality Eltville-Hattenheim im Rheingau ). The term Cabinet was derived from a cellar in which the best wines were stored (French cabinet = Nebenraum, a similar meaning has the name treasury ). It was first used in 1712 to produce a wine Reserve Quality to call. This historic cellar is still called "Cabinet Cellar" today. Such wines were not allowed to be fortified with sugar (for the purpose of raising alcohol). This page was last modified at 3 March 2019 at 15:47.